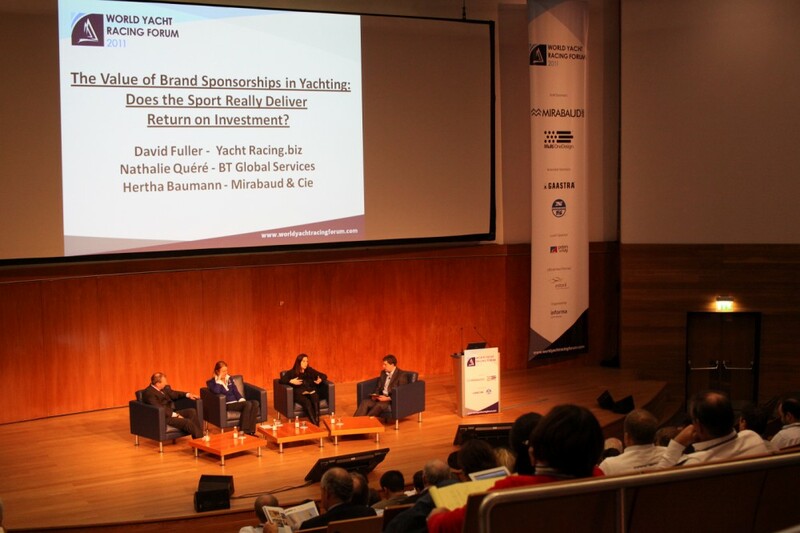 Speakers of the World Yacht Racing Forum highlighted this end of year’s difficult economic context. However the industry is as dynamic as ever, and offers great opportunities to partners, venues, athletes or events. The fourth edition of the World Yacht Racing Forum started this morning, Tuesday December 13, in Estoril, Portugal. Over 200 delegates attended the presentations, collecting precious information and meeting the industry’s key actors during the networking breaks. “Most of the world’s best boat builders are here”, declared Dominique Dubois, President of Multiplast. The sport is indeed attractive, and current and new projects do have a great appeal and potential. The Multi One Design Circuit, for example, will see its first sailing season in 2012. 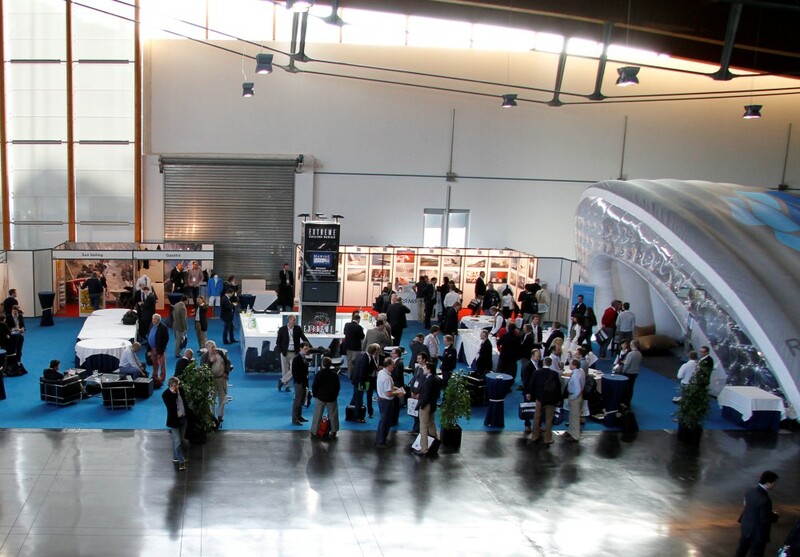 Introduced at a previous World Yacht Racing Forum, in Monaco, the MOD circuit has now become a reality, dragging partners, suppliers and services providers in its wake. In the YRDTS today sessions went long and lively, with a full room of influential designers, builders, rule-makers and owners discussing a wide variety of topics, ranging from Non-destructive testing to the development of HPR, a new Grand Prix rating rule concept. Keynote speaker Pat Shaughnessy of Farr Yacht Design spoke of the need to utilize the creative talents and insights inherent to all competitive sailors to adjust in these economic times to new opportunities to engage more youth-oriented projects within the sailing industry, and also to apply their talents to new fields outside the marine industry as well. Bill Pearson of North Technology Group spoke of this as well in his description of the latest applications for TPT (Thin-Ply Technology), which range from AC72 wingsails to parts for Formula 1 race cars. In TP52 design, there was wide agreement that the boat and class will have an active new life outside the MedCup, with a meeting scheduled soon to decide their direction for 2012. In the session on Non-destructive testing it was agreed that while great tools exist to determine potential problems in laminate construction, there are standards still needed to determine when these problems may or may not contribute to part failure. After describing the standard design package for the AC72 catamaran to be used in the 34th America’s Cup, Vincent Prevost of VPLP explained that teams wanting to optimize use of this package better sign up by next month, as there is a 10-month build time needed and then only 30 sailing days left in 2012 to comply with the AC rules…so far one of the three teams currently committed to build an AC72 has purchased this package, but will likely use it as a reference only. The last session on HPR was the longest of the day, as the concept and design parameters were presented by four panelists hoping to see the Grand Prix racing community embrace this new continuum-based rule project which promotes the design of high-performance offshore-capable boats. Thus far there has been some strong interest in this, so the HPR group is promised to make a beta version available for comment by year’s end. Tomorrow’s sessions will focus on the world’s top yacht racing events, the Volvo Ocean Race, the America’s Cup and the Olympic Games. Sessions will also be dedicated to yacht club management and the place of women in the sport.